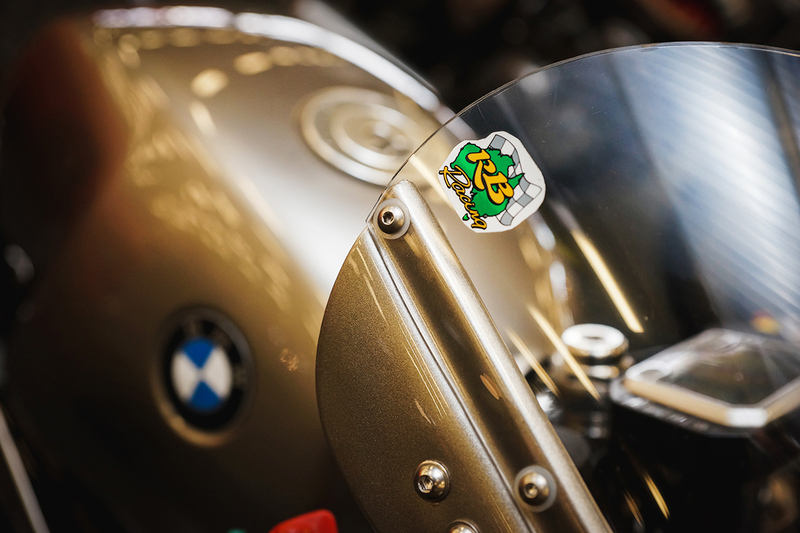 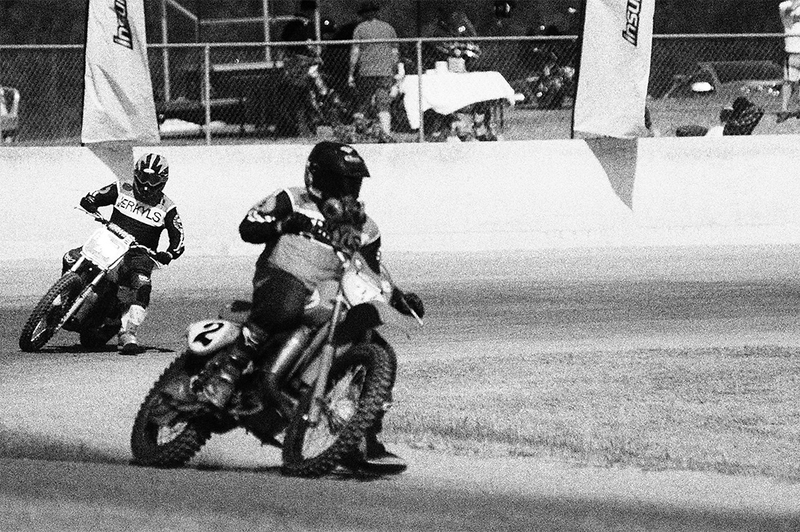 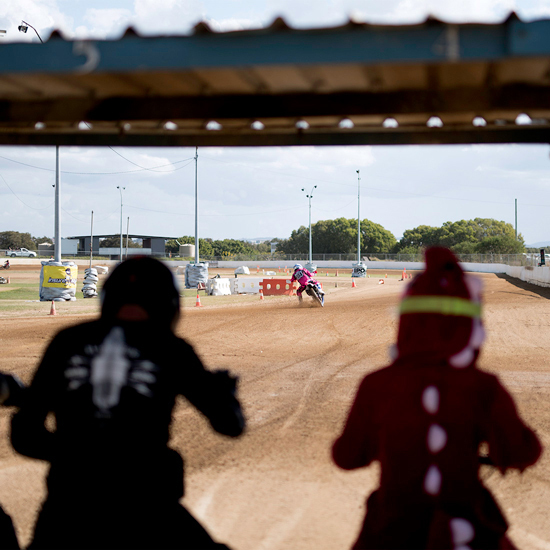 Flat track racing is experiencing a renaissance of sorts all around the world at the moment. 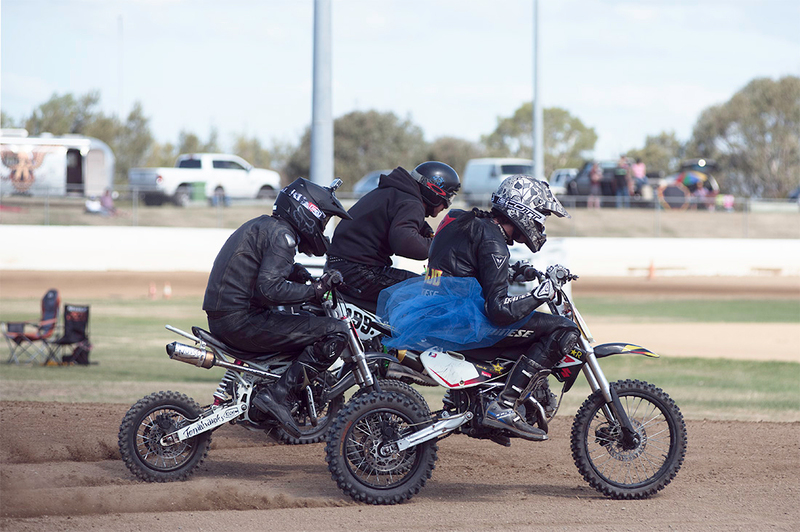 Everyone from Valentino Rossi to the kid next door seems to be getting in the sideways groove. 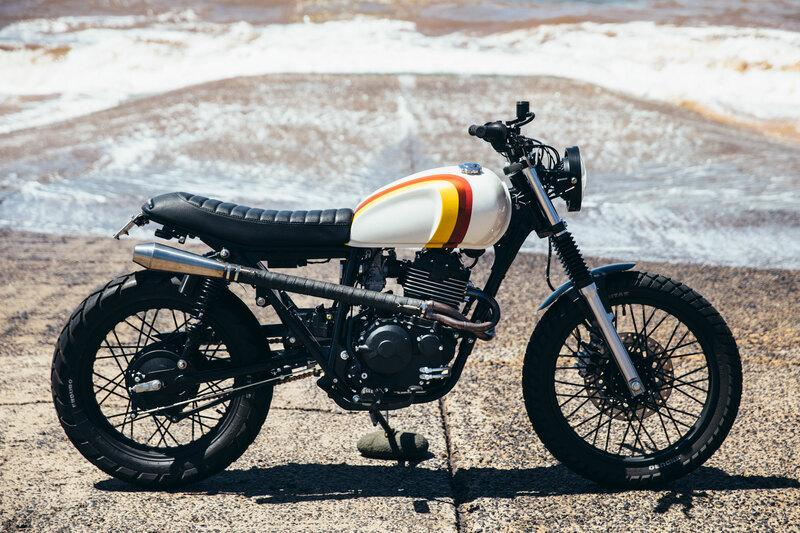 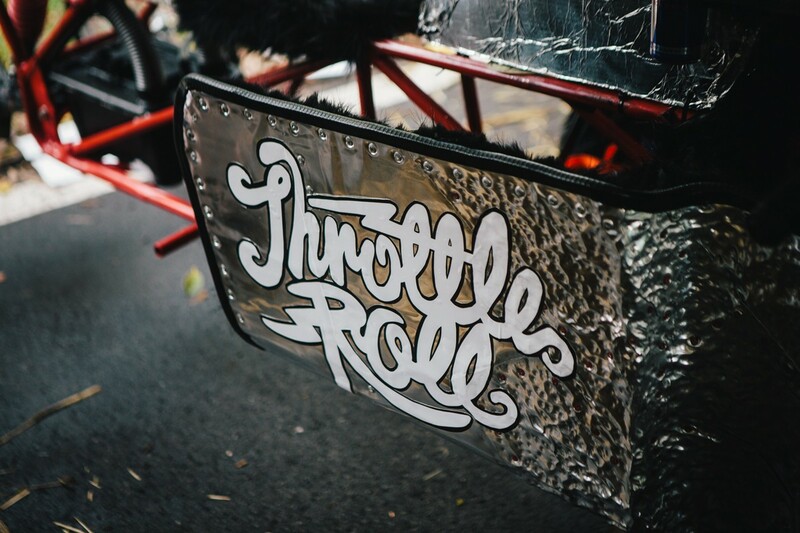 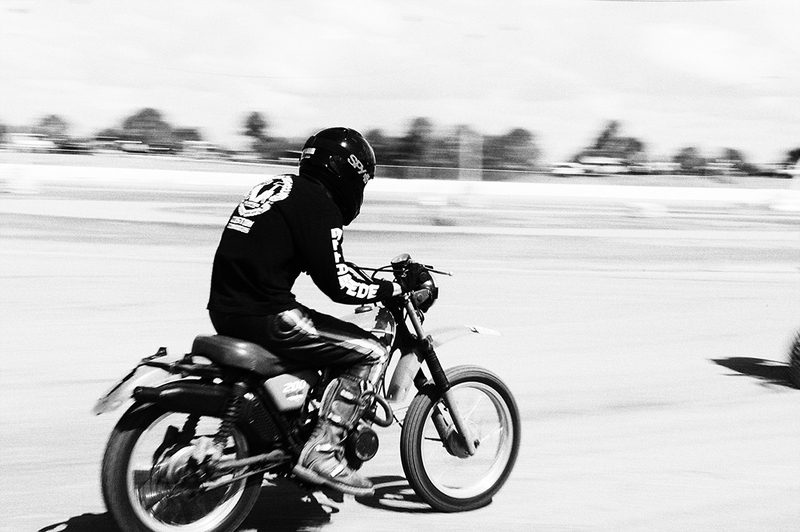 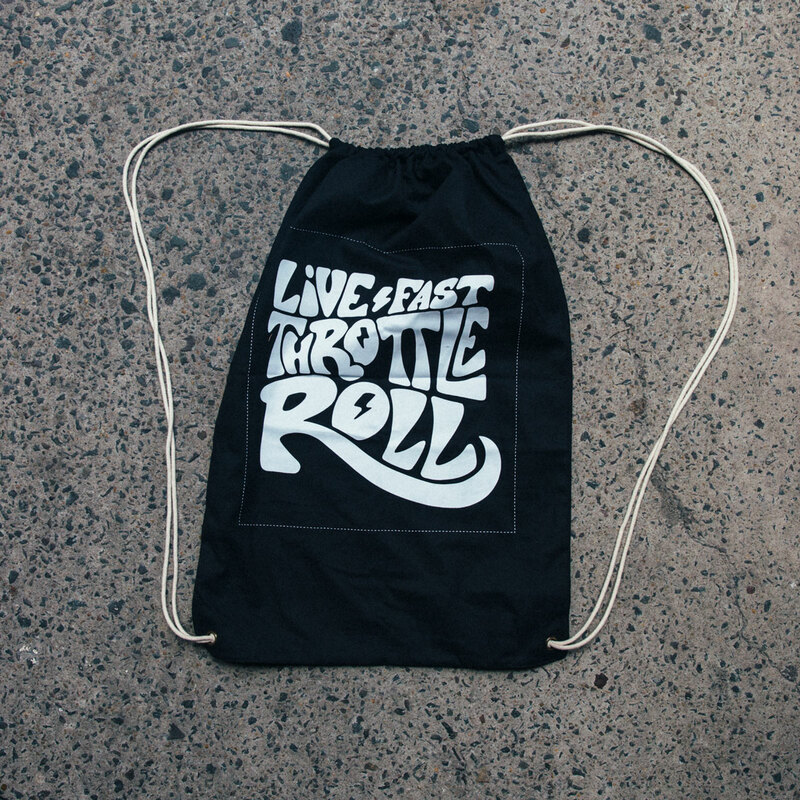 Brisbane –based custom bike shop Ellaspede are fanning the flat track flames with their annual Dust Hustle event. 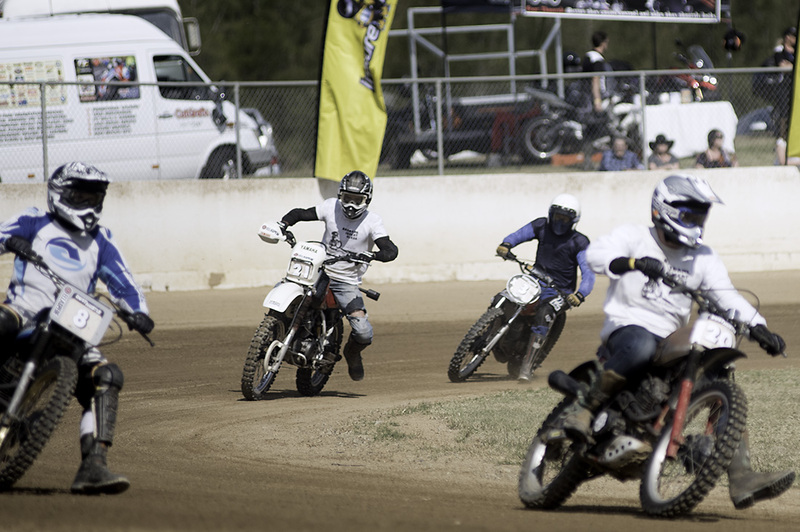 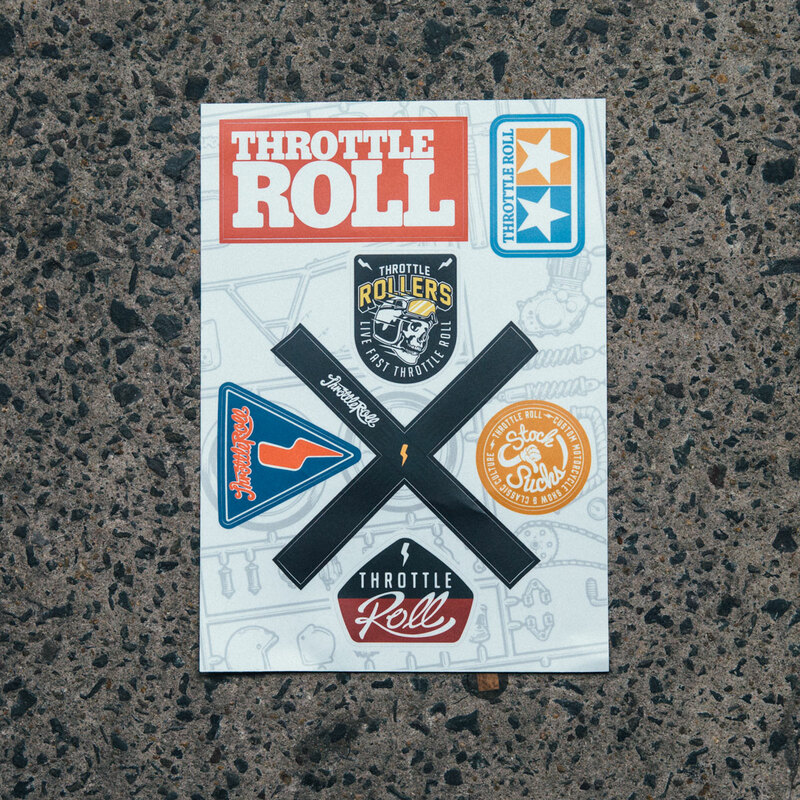 The 2015 edition was the second running of this celebration of skids and good times. 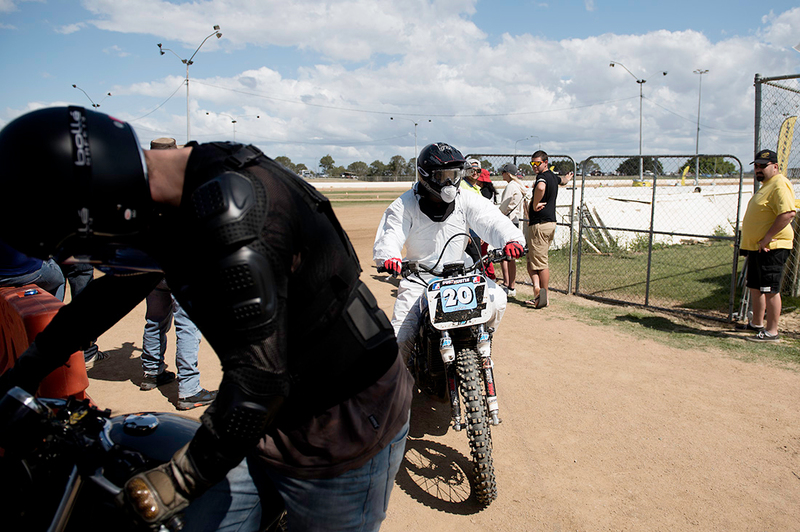 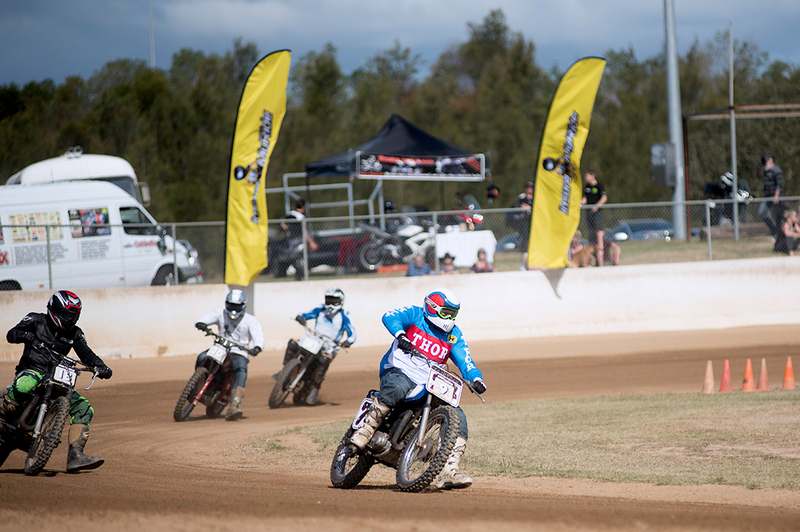 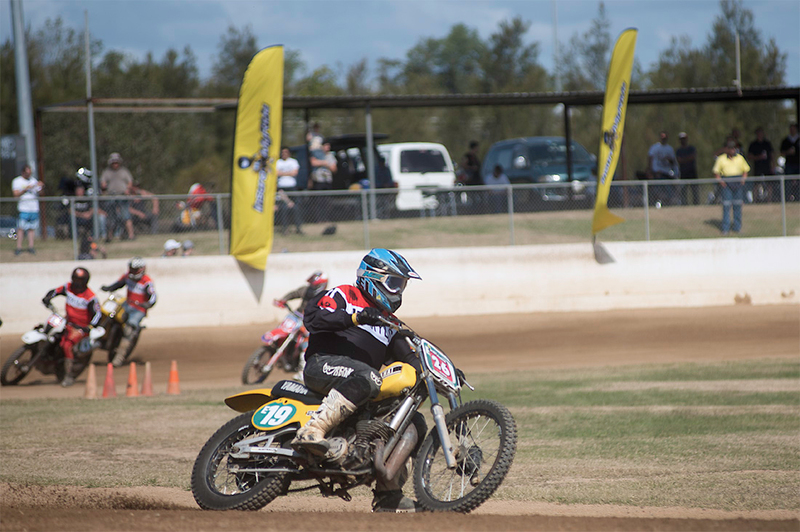 Dust Hustle gives any rider, on any bike, the chance to experience the unique thrill of going sideways on a real, purpose-built flat track course, in this case the Mick Doohan Raceway on Brisbane’s north side. 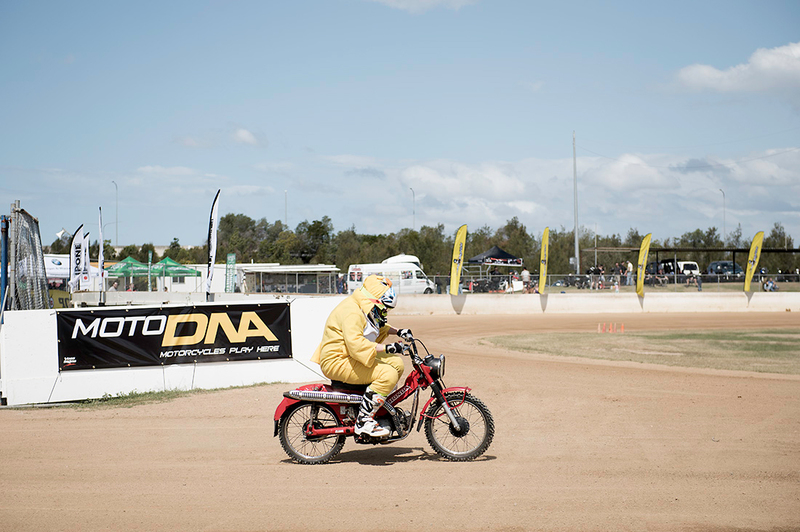 With the emphasis firmly on fun, wacky costumes and the use of any kind of running two-wheeled machine, Dust Hustle’s motto is “Because no good story ever started with ‘I was riding the perfect bike in excellent conditions…’. 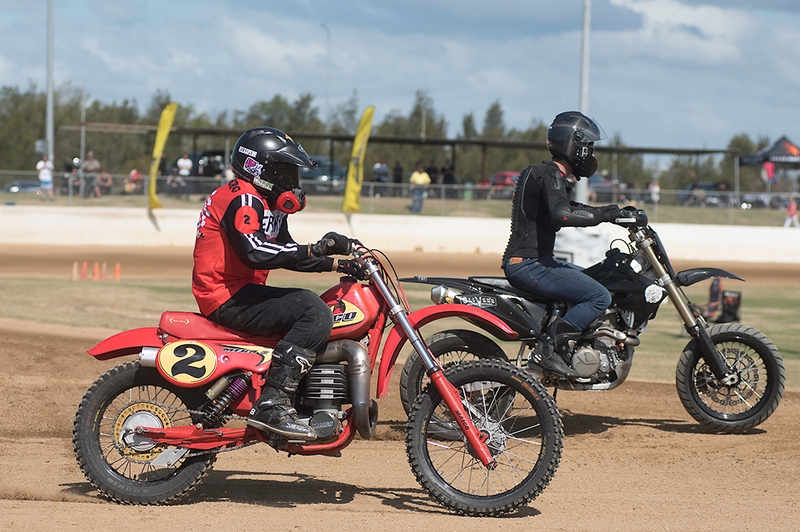 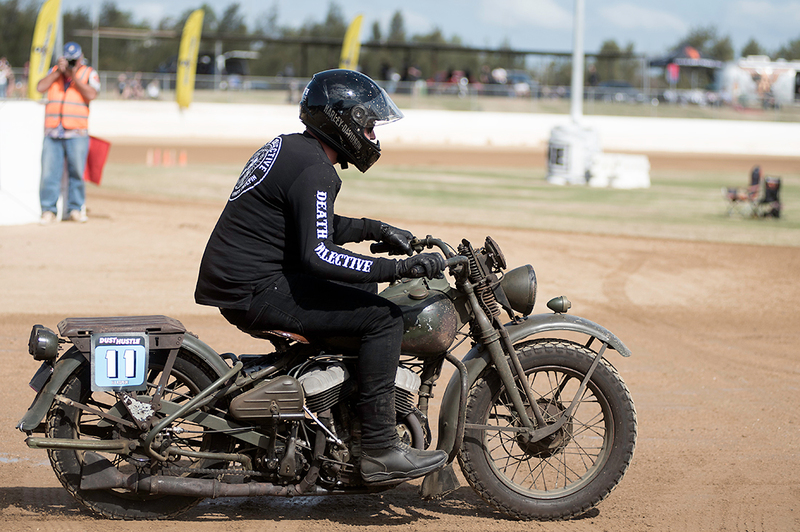 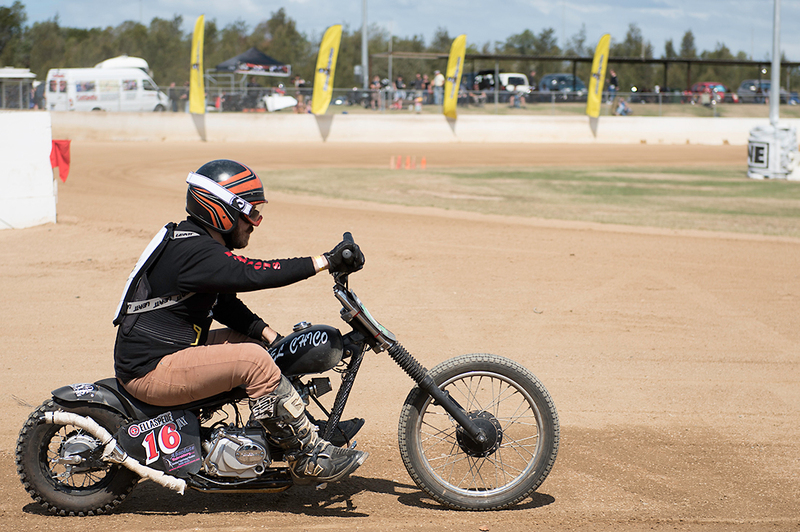 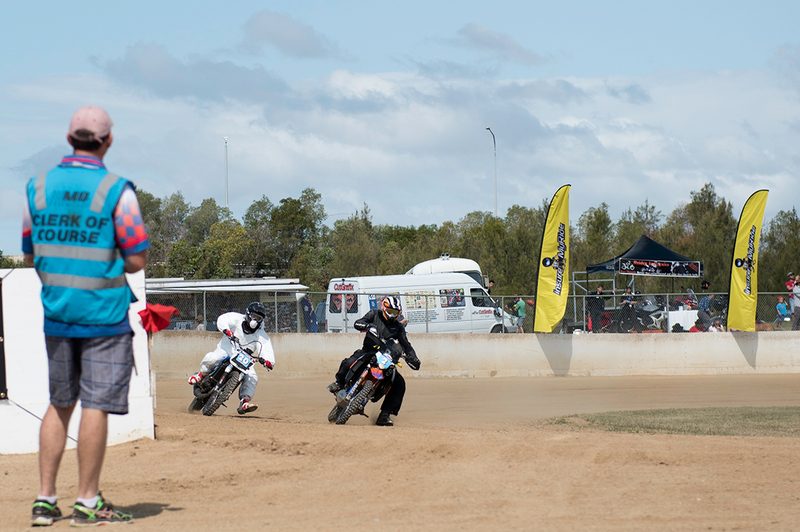 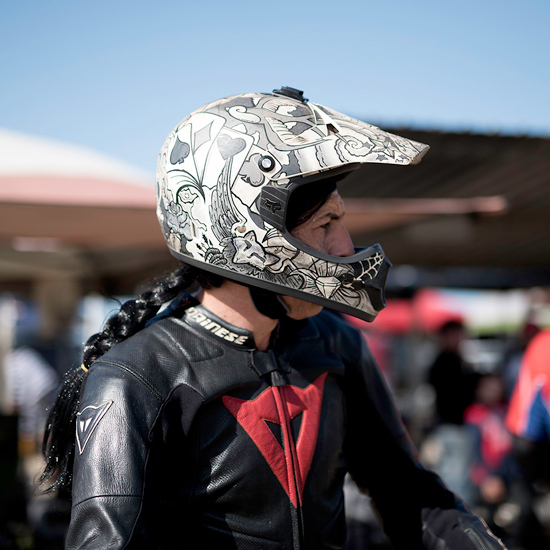 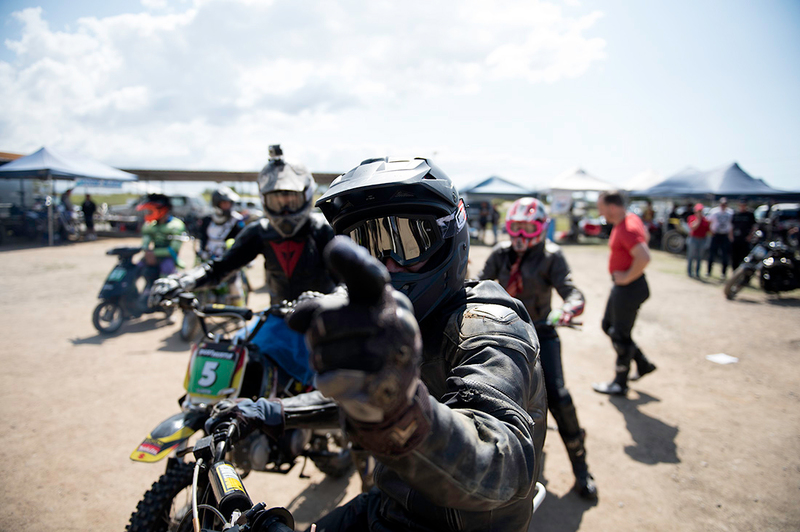 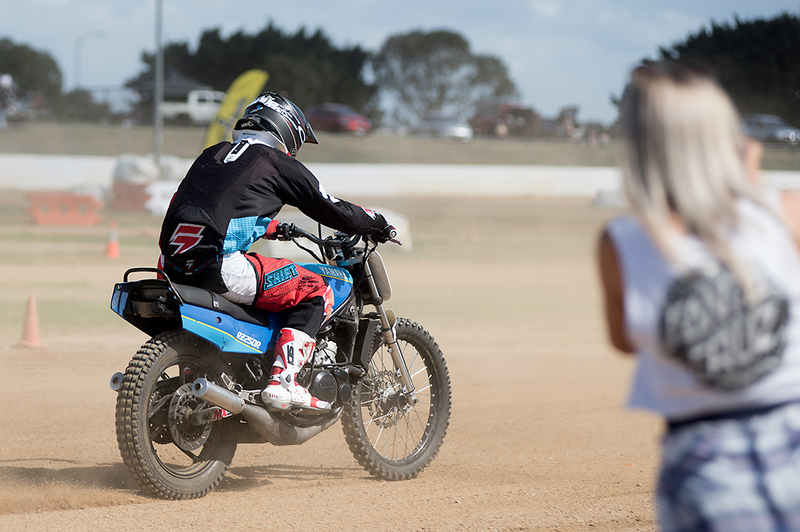 From Postie bikes to Harleys; from 1000cc street bikes to proper flat track machines and everything in between, the day saw riders of all ages, genders and experience levels laughing and sliding together. 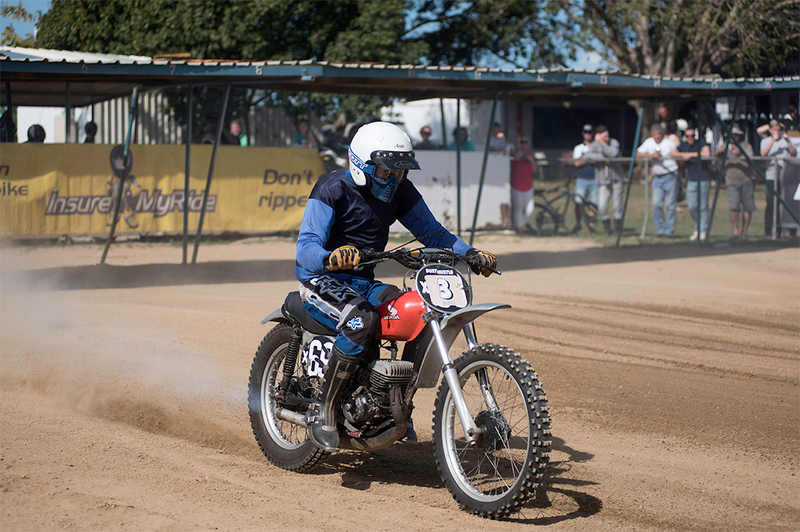 Dust Hustle is rapidly gaining notoriety and becoming a real highlight of many riders’ motorcycling year.